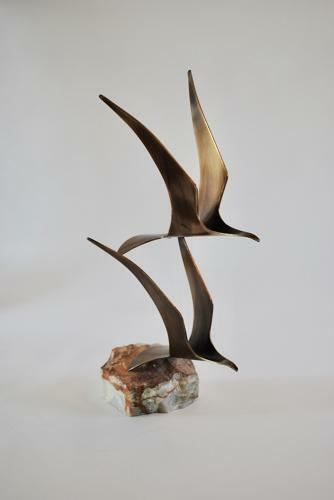 Patinated metal sculpture. Beautifully joined together to resemble 2 seagulls in flight. Sits on an onyx base.